For today's post I wanted to create a wearable and colorful look using green and gold tones. This is another beautiful color combo that I think looks great on almost every skin tone. I used the Revlon Photoready Palette in Pop Art, which is a collection of shimmery green and gold shadows. 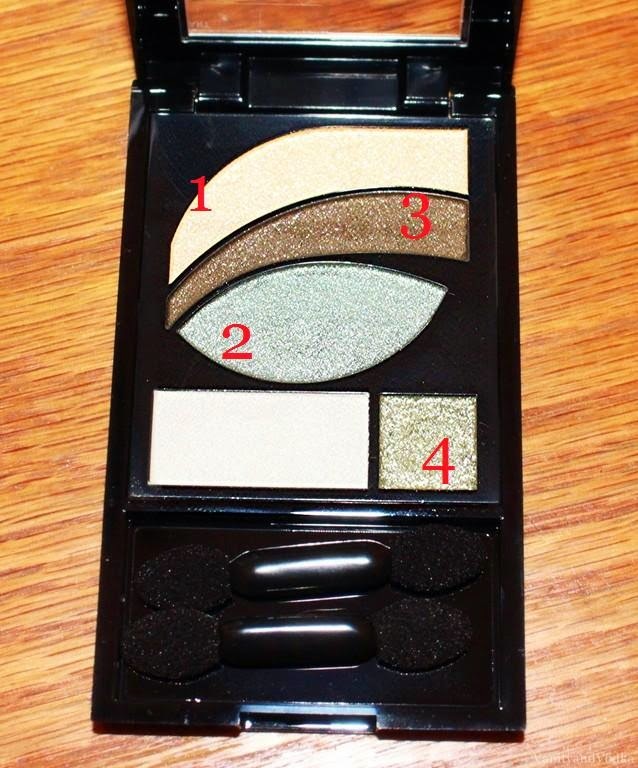 This palette also has a really pretty deep green glitter shadow. I played around with the colors and created a look that turned out fresh and wearable. Do you have a favorite color combination? Thank you so much for stopping by; I truly love it when you do. Green and gold sounds just like summer nights.